The Grand Strand-based Sunbelt Senior Tour is returning to the area for a pair of events the first two weeks in August. 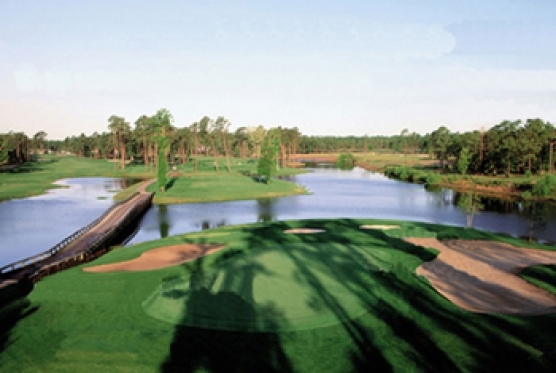 The tournaments at Brunswick Plantation from Aug. 6-8 and River Hills Golf & Country Club from Aug. 13-15 will be the tour’s first full field events on the Strand since 2010, and both will have preceding fundraising pro-ams open to area amateurs. The Sunbelt Tour has shied away from the Myrtle Beach area in recent years because on an inability to secure tournament sponsors. Tour founder and operator, Don Barnes of Longs is glad to have a tournament at home and to get back to its roots where the tour was started 17 years ago. “It’s tough getting sponsors, and with the pro-ams people are used to getting in charity [scrambles] for $70 or $80, and we can’t do that,” stated Barnes. Barnes has partnered with Golf & Gaming Tours owner and River Hills resident Charlie Webster on the Myrtle Beach Match Play at River Hills, which will have brackets featuring up to 32 players in the age 45-54 division and 16 players in the super senior division for players 55 and older. Both divisions are within a few players of selling out. “Charlie has been running tournaments at River Hills for probably 15 years and he has a lot of contacts and we’ve had a lot of people help us out,” Barnes said. The tournament will benefit the Tara Hall Home for Boys in Georgetown, where Webster has portrayed Santa Clause for the past 25 years. The two events will begin the second half of the Sunbelt’s season. The North Carolina Senior Open at Brunswick Plantation has 25 players registered and Barnes expects about 30 by tee off. The entry fee for each event is $550 for members and $650 for non-members, and the Match Play has guaranteed first-place checks of $6000 for seniors and $3000 for super seniors. Both Strand events have openings for additional sponsors and pro-am players. Both pro-ams are $600 per team, though the Aug. 5 Brunswick Plantation pro-am has four amateurs per team and Aug. 12 River Hills pro-am has three. “There’s a possibility of having one next year ; we’’ll see how these two go,’ said Barnes.